A cozy studio located in the heart of Playa de Las Americas, only a very short walk to the beach, restaurants and other amazing amenities. It is also a ten-minute drive to the famous Siam Park water park. 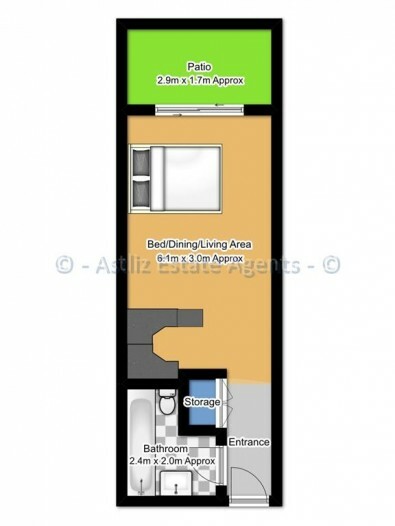 It has a luminous bathroom; open plan kitchen and the bed is in the living area. Included in the community fees you also get you water and electricity. This studio is a perfect investment or holiday home. Viewings recommended.